You are browsing the archive for 2019 January 02. Marcel Marceau was known worldwide as a master of silence. The world-famous mime delighted audiences for decades as “Bip,” a tragicomic figure who encountered the world without words. But during World War II, his skills as a mime came in handy for another reason: He used them to save Jewish children during the Holocaust. Marceau was recruited to help the French Resistance by his cousin, Georges Loinger, a commander in the secret unit who was part of the Oeuvre de Secours aux Enfants, a Jewish relief group that smuggled Jewish children from occupied France to neutral countries. Loinger, who was credited with saving around 350 children, died on December 28, 2018 at the age of 108. 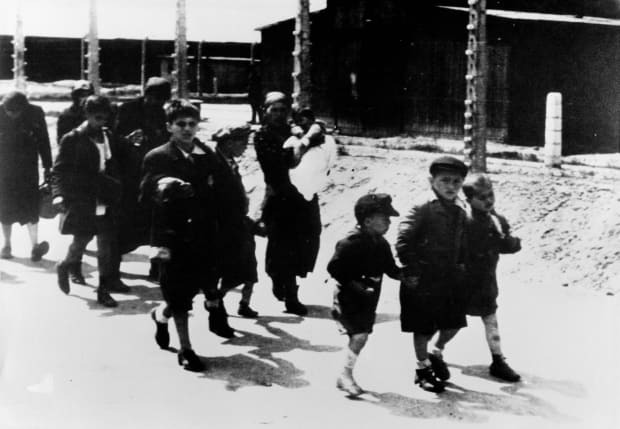 Their mission was to evacuate Jewish children who had been hiding in a French orphanage and get them to the Swiss border, where they would sneak to safety. But traveling with large groups of children was anything but easy. 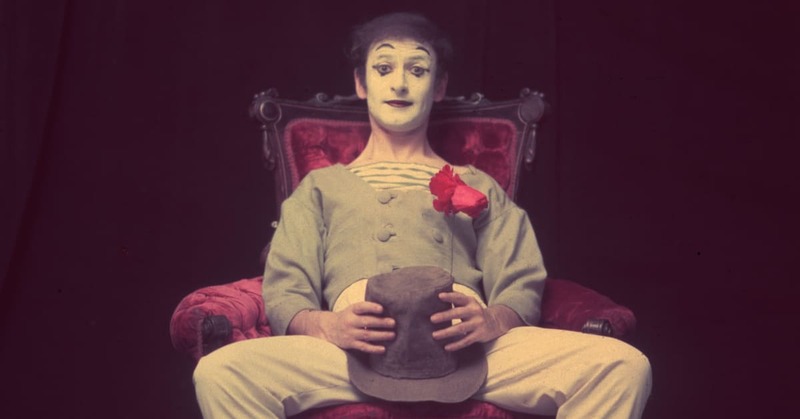 Marceau had a secret weapon: His training as a mime. The actor also posed as a Boy Scout leader to trick the authorities. “I went disguised as a Boy Scout leader and took 24 Jewish kids, also in scout uniforms, through the forests to the border, where someone else would take them into Switzerland,” he recalled in 2002. And when he unexpectedly ran into a group of German soldiers near the end of the war, he pretended he was a member of the French Army and demanded they surrender. They did—all 30 of them. Many Jamestown settlers would “come to the colony, make their fortune, and go home to get married,” she says. A small portion abandoned “the colony to go live in the Indian villages, where obviously there were plenty of women and life was better.” This latter outcome was especially troubling to English religious leaders, who preached sermons about “the sexual availability of the Indian women,” she says. 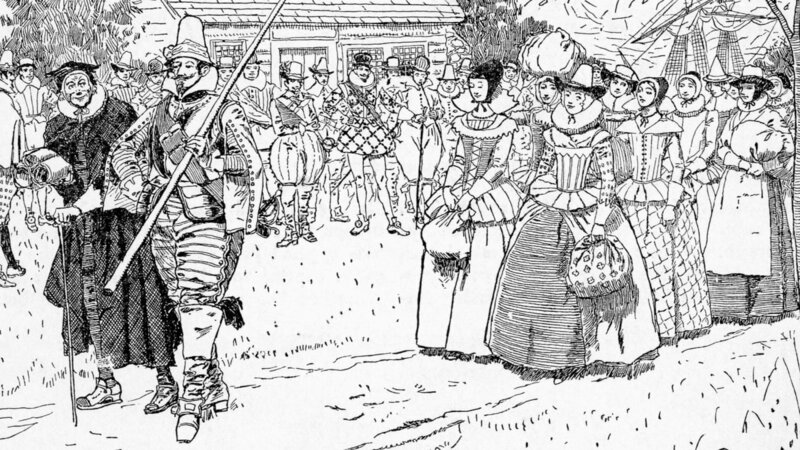 The Virginia Company advertised that if English women agreed to come to Jamestown in search of a husband, the company would loan them clothing, transportation and a plot of land. In Jamestown, they could have their pick of wealthy bachelors. Once they chose a husband, he would reimburse the Virginia Company for her expenses with 120 to 150 pounds of “good leaf” tobacco. An illustration of the arrival of the first women to the Jamestown colony. This exchange helped earn these women the nickname “tobacco wives,” and has also led to allegations that the Virginia Company “sold” these women. However, unlike the Africans who began arriving in Jamestown in 1619, no one bought or sold these English women. In fact, for women who couldn’t afford a good dowry to attract a husband, becoming a tobacco wife was a fairly attractive option. Little is know about the first group of 90 brides, but Egloff says that some of the 56 women in the second group had lost both of their parents, meaning that they didn’t have a good chance of amassing a suitable dowry to entice a husband. At least 16 women in this second group had worked “in service” to other English households in order to amass a dowry, meaning that they hadn’t had a good one in the first place. The Earth’s crust is a visual timeline that goes back billions of years. But all over the world, there’s a gap in the timeline—a huge chunk of crust that should be there yet isn’t. 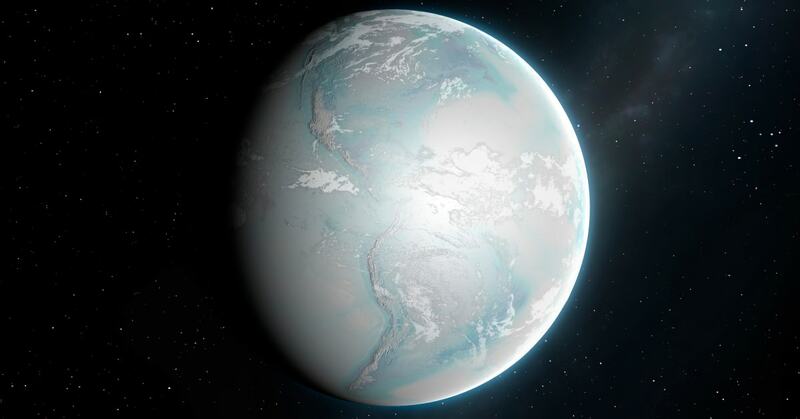 Now, scientists say that the crust may have been destroyed during Snowball Earth, a hypothetical period in which the globe was covered in ice. The gap in Earth’s timeline is known as the Great Unconformity, and represents 250 million to 1.2 billion years of lost time. The crust timeline abruptly jumps from the Cambrian Period, which saw the most intense burst of evolution, and the Precambrian time, during which the Earth was formed—meaning that it skips over about one-fifth of Earth’s geological history. So what happened? Well, that crust could have been ripped away by moving glaciers during Snowball Earth, argue scientists in a December 2018 article published in the Proceedings of the National Academy of Sciences. Glaciers’ intense weight causes them to scrape and erode land that they move across. After being scraped up by Snowball Earth glaciers, the missing crust could have fallen into the ocean as sediment, and then disappeared into one of Earth’s lower layers. The scientists argue that a big geochemical shift happened around the time Snowball Earth’s worldwide glaciers formed, something that suggests Earth’s crust was being recycled. “Although this erosion didn’t apply evenly across the world, it amounts to an average sediment layer 1.9 to 3.1 miles deep being swept away,” reports National Geographic. If correct, this theory explaining the Great Unconformity could help shed light on other aspects of Earth’s history, like why Earth lost most of its craters around 600 to 700 million years ago. It could also help connect the dots between Earth’s formation and “Cambrian explosion” of life between 541 million and 530 million years ago. So far, we know there were large animals before the explosion—the oldest is the 558 million-year-old Dickinsonia, a sci-fi looking creature that could grow up to four and a half feet long. But there are still a lot of questions about what was going on before that, in the Earth’s gap years. During the Roaring Twenties, Prohibition seemed here to stay. Then the economy collapsed, and the “noble experiment” crumbled along with it. Disenchantment with Prohibition had been building almost from the moment it first took effect in 1920. Politicians continued drinking as everyday people were slapped with charges. 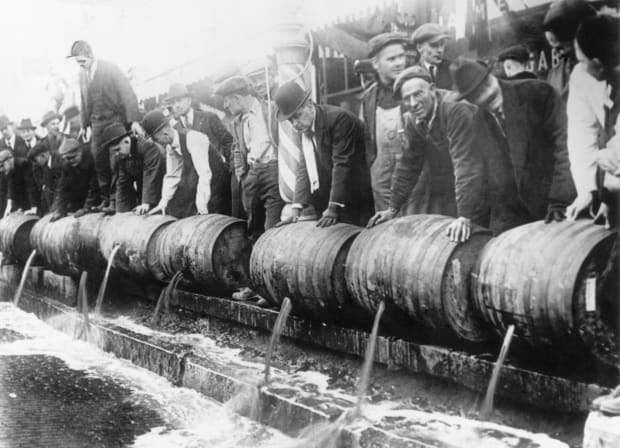 Bootleggers were becoming rich on the profits of illegal alcohol sales and violence was on the rise. But it wasn’t until the Great Depression that the repeal movement truly gained steam. By arguing that the country needed the jobs and tax revenue that legalized alcohol would provide, anti-Prohibition activists succeeded in recruiting even noted teetotalers to their cause. As the economy crumbled and the Democratic Party gained power, the demise of Prohibition eventually became a fait accompli. Barrels of beer emptied into the sewer by authorities during prohibition. Even politicians who supported Prohibition in public continued imbibing in private. President Warren G. Harding, for example, stocked the White House with whiskey for his infamous poker nights, while his Commerce Secretary Herbert Hoover liked to stop for a drink at the Belgian Embassy—where U.S. law technically didn’t apply. the dire predictions of many pundits, the country still survives. from those who might not have warmed to him personally. policymaking. Make the Democrats fight him on his own ground. speeches because of the peerless wisdom and Periclean eloquence. because of who they are, not based on need or merit. pretending to do good, with government’s aid. that 7,000—roughly half of the current deployed U.S.
step in jettisoning two frustrating and counterproductive missions. decisions as one reason for his abrupt resignation. Bashar al-Assad’s regime for its alleged use of chemical weapons. uncompromising, highly confrontational policy toward North Korea. rest likely to come home at the end of 2019.
thousands of lives and billions of dollars to have been wasted. the future can be justified. temporarily increasing U.S. force levels. of the Center for Strategic and International Studies, “U.S. Is there any prospect of Kabul taking over its own security? A. Fine, the Pentagon’s acting inspector general. Gen.
deprivation, solitary confinement, beatings and torture. be backward superstitions that must be diluted and nationalized.